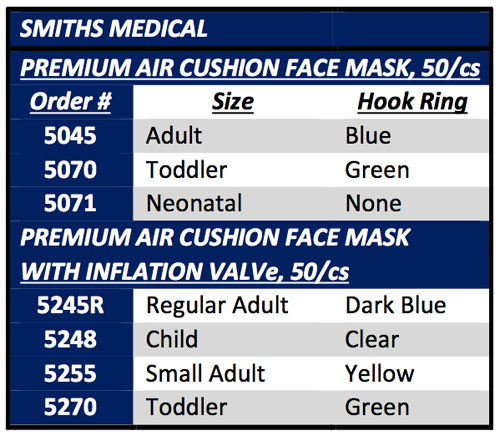 Intertech Premium Face Masks provide gas tight, low-pressure seals while molding to the patient's face. Intertech Premium Face Masks are easy to hold and have no sharp edges. Clear, color-coded face masks make patient monitoring as well as size identification easier.